The United States has a simple logo to denote “certified organic” food. It says “USDA ORGANIC”. 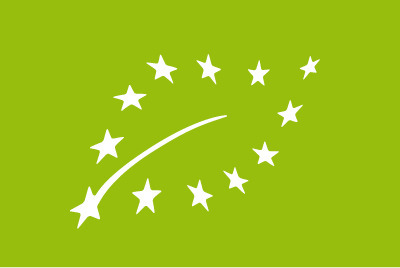 Now the European Union is set to use a homogenized symbol for all its pre-packaged organic food (pictured below). This design takes the European Union’s stars and arranges them in the form of a leaf; the Euro-leaf symbolizes Europe and nature. Organic food at Walmart: Good or evil?